Come and brush shoulders with industry leading producers and sit in on our producer panel as they discuss production techniques, the current state of the music industry, careers in sound production and more. You’ll also have the opportunity to meet our amazing students and discuss with them the benefits of studying at Abbey Road Institute Melbourne. Experience a demonstration of the capabilities of our state-of-the-art API analogue recording studio – and also our top-of-the-line AVID S6 digital desk! Both featuring B&W 802 speakers with laser cut diamond tweeters, exactly the same as Abbey Road Studio in London. Explore our editing suites and labs with their purpose built desks and iMacs for each student, loaded with Pro Tools, Logic and Ableton. This is your opportunity to come along and experience an educational facility unlike any other: one created by the most prestigious recording studio in the world. Places are limited, so register now to secure your place at Abbey Road Institute’s August Open Day! How did you go about establishing your personal brand and reputation in the Industry? What are the most important attributes a young producer needs to generate work? How would you describe the state of the Australian music industry today? What role will producers play in the digital online space that the industry is rushing towards? Beau McKee was a founding member and drummer of internationally successful band Closure in Moscow, labelmates of bands including Refused, Circa Survive and Coheed & Cambria on Equal Vision Records. Beau has toured the world and worked with many talented artists, including session drumming for Sky Ferreira’s 2014 Australian tour. 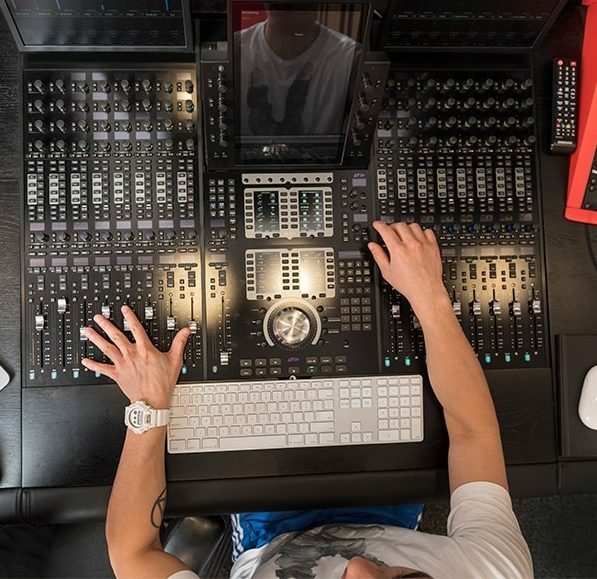 He has also worked alongside several top tier recording engineers whilst abroad, enabling him to gain extensive industry knowledge and experience. Based out of one of Australia’s finest recording establishments, Oaklands Studios, Beau has obsessively delved into engineering, mixing and mastering projects, gaining attention both nationally and internationally for his ears and production techniques. With the advent of boutique audio recording and niche sounds, Beau is comfortable recording a wide range of genres, consistently providing artists with an exceptional final product. With over a decade of musical experience up his sleeve, Beau has quickly become one of the most prominent engineer’s in today’s musical landscape. Alex’s career in the music industry started eight years ago with the release of the first Trumpdisco song into the blogosphere. 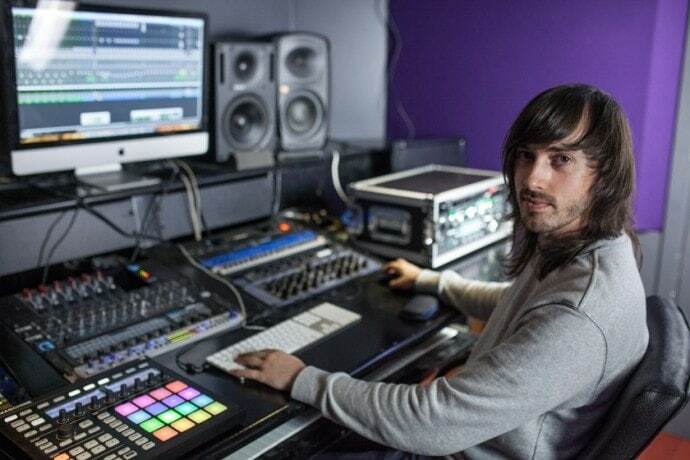 Taking solo control of the Trumpdisco project in 2012, Alex played gigs in South Korea, Europe, Canada and South Africa as well as Australia, while the Trumpdisco remix of Kanye West’sBlack Skinhead was played in the opening sequence to the 2014 MTV VMAs. 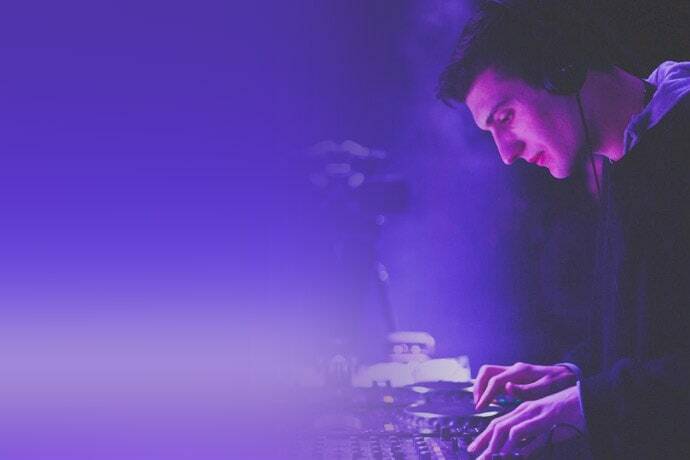 In 2017 the Trumpdisco project was rebranded to SUB-human and signed to Flux Pavilion’s Circus Records with a debut EP due for release in mid 2017. In 2016 Alex graduated from Abbey Road Institute Melbourne which enabled him to refine and develop his audio skills far beyond his expectations. His time at Abbey Road Institute also helped him to understand the professional workings on the industry and both his solo project and engineering business have benefited greatly. Since graduating Alex was honoured to be asked back to Abbey Road Institute Melbourne where he will be teaching the trimester two students Ableton. 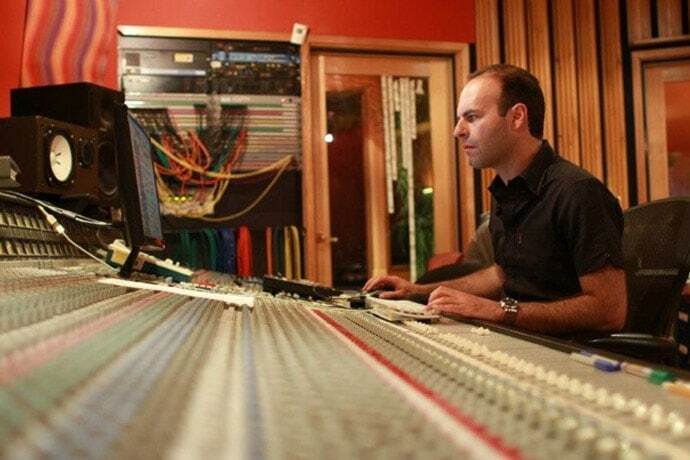 Jimi Maroudas is a multi platinum awarded, Aria & Golden Guitar nominated producer, mixer and engineer. A multi-instrumentalist from childhood, Jimi’s skills on the guitar, bass drums, singing and songwriting helped lay the foundation for his emergence as one of Australia’s premiere producers. Starting his career at the world-renowned Sing Sing Studios in Melbourne, Maroudas had the opportunity to work with and learn from some of the world’s top producers including Grammy award winners David Bianco (Mick Jagger, Teenage Fanclub, Tom Petty), Adam Kaspar (REM, Queens of the Stone Age, Nirvana), and Mark Wallis (U2, The Smiths). To date Maroudas has amassed a solid discography, peppered with multi-platinum, award winning artists. Several albums he has worked on, including The Living End’s State of Emergency, Pete Murray’s See the Sun and Eskimo Joe’s Inshalla have reached #1 on the Australian Charts. Jimi’s contribution to Eskimo Joe’s Inshalla alongside producer Gil Norton (Pixies, Foo Fighters) scored him an ARIA Award nomination for Engineer of the Year in 2009. Jimi also produced the single Cameo Lover, delivering Kimbra the 2011 ARIA Award for Best Female Artist and winning the prestigious Vanda & Young Songwriting competition. Maroudas has also appeared on backing vocals in You Am I’s Deliverance album and played guitar on Olivia Newton John’s Duets record. Jimi Maroudas’ ability to mine the creative potential of all the artists he works with has earned him the deserved respect and recognition as one of the finest producers in the country.